We are a distinguished Handy Universal Programmer (USB300) Exporter & Supplier in India. On-line and off-line operation functions. 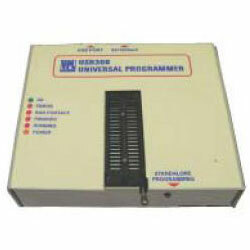 It is both suitable to the development, the testing, the teaching, and suitable to the batch programming. Triply indicates the operating result: displayed in the window, in the LED lamp and choseable buzzing.